Learn to read Thai easily using my free YouTube Tutorials. Please like, comment and subscribe to support my work! According to Thailand's Tourist Authority (TAT), around 30 million tourists visit Thailand each year. However, the vast majority will only visit one of Thailand's well known tourist resorts and most will only be aware of a handful of places in Thailand. 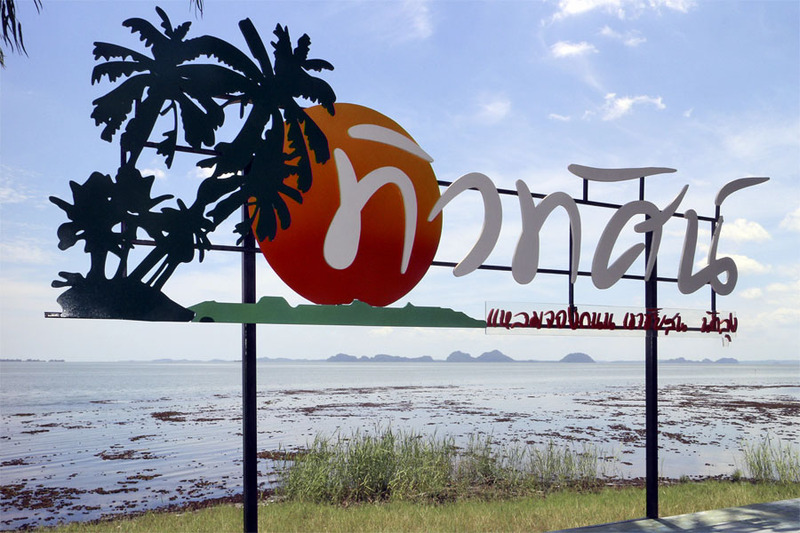 Even though many tourists will be able to name such places as Pattaya, Koh Samui and Hua Hin, they won't know in which provinces these places are located. Single men may become familiar with some lesser known areas of Thailand - mainly in the Isaan region - through their association with the many bar girls found at tourist resorts because most of these girls come from the impoverished northeast of Thailand. Thailand is quite a large country - around the same size as France - and attracts many visitors each year, but much of the country is unknown to many foreigners. This is a shame because many of the forgotten provinces are very attractive and worth visiting. In recent years some travel companies have offered 'Unseen Thailand' tours and the TAT ran an advertising campaign on the same subject, but most tourists still go to the same old places. I have made fairly regular trips to Phattalung since 2004 and it is still a province that I enjoy visiting. This page was designed to give readers an idea of what is there and to encourage more tourists to get off the tourist trail so that they can see 'real' Thailand. Phattalung is one of the 14 southern provinces. Unlike many southern province it does not have a coastal border. However, it does border Songkhla Lake, which is a large inland body of water. The province contains some of the limestone karsts that are synonomous with many parts of southern Thailand. As you drive up from Songkhla province, which has none of these karsts, they are quite dramatic when they come into view. 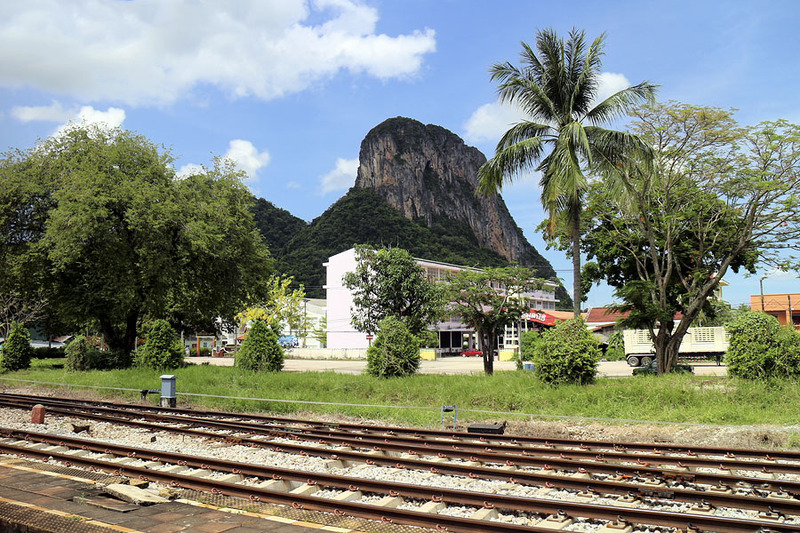 The karst in Phattalung main town, called Khao Ok Talu, can be seen from a great distance and is very clearly seen from Phattalung train station. Mass tourism has caused lots of problems in Thailand, but the industry brings in lots of money and thus tourist resorts tend to see more development than areas in Thailand with few tourists. This is very much the case in Phattalung. 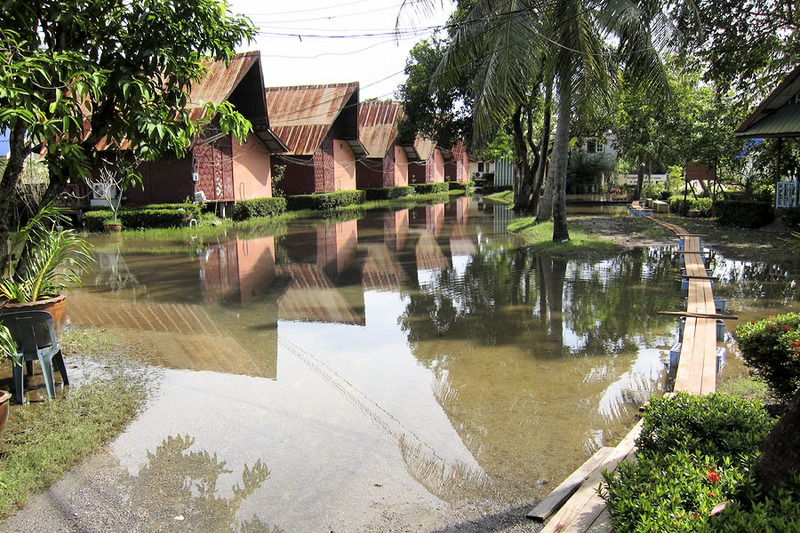 The flood defense infrastructure in Phattalung is very underdeveloped and in periods of heavy rain there is almost always flooding in Phattalung, whereas it isn't necessarily an issue elsewhere these days. Also, the lack of industry and job opportunities in Phattalung mean that mean Phattalung natives go to live elsewhere to find work. For example, many people living and working in Hat Yai come from Phattalung. From my perspective, the big advantage of this lack of development and lack of tourists is that there is still an opportunity to see the 'real' Thailand. The view of Thailand that most tourists get is completely artificial and although most will have strong views on Thailand, they haven't really seen Thailand. 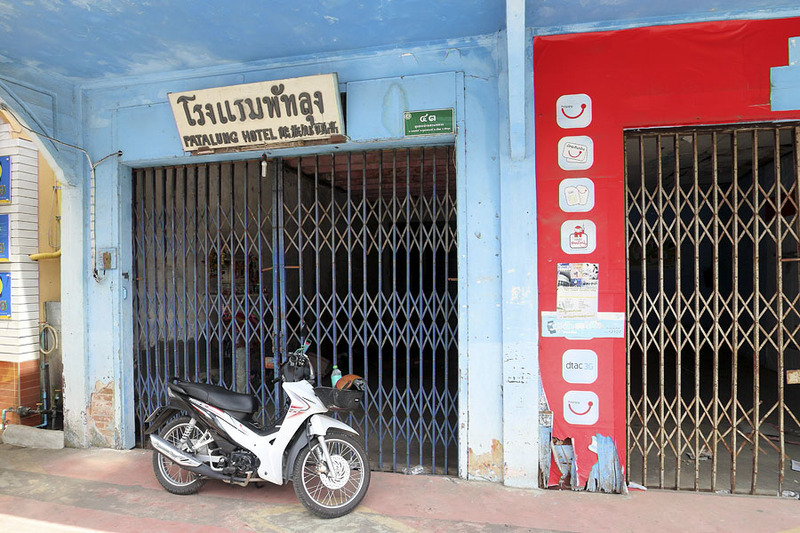 Phattalung's lack of development and tourism has resulted in there being no commercial airport. The nearest commercial airport is Trang, followed by Hat Yai. I would recommend flying into Trang airport. Not only is it the nearest airport, but the road connecting Trang and Phattalung (known as the Trang Andaman Gateway) is exceptionally scenic. From Trang the journey by road takes around 60 minutes, and from Hat Yai around 90 minutes. 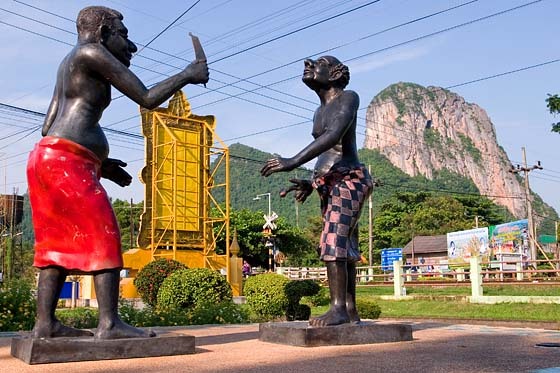 As is usually the case in Thailand, there are lots of bus and minivan services that connect Phattalung with other provinces. 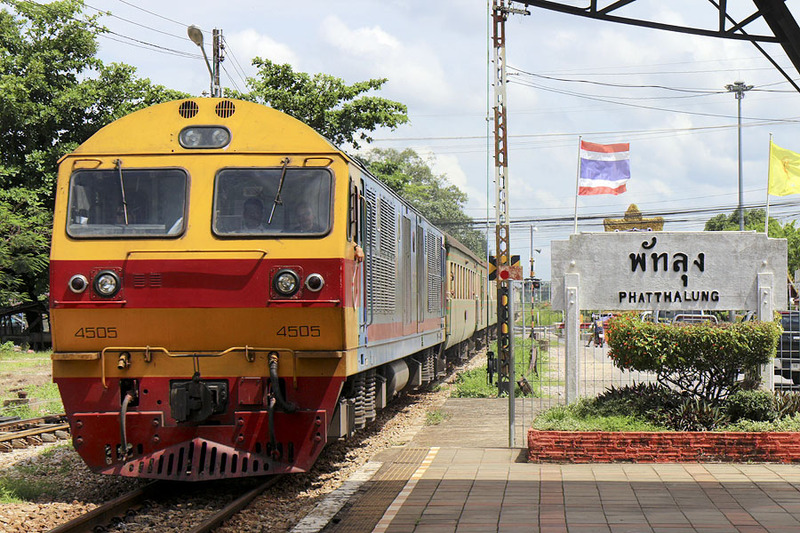 Phattalung also has a rail service. Travelling by rail takes a little longer, but it is cheap and provides great views. The last time I travelled to Phattalung by train was a long time ago, but in 2017 my wife and children took the train while I drove to pick them up in Phattalung. I would imagine that most foreign tourists visiting a Thai provincial main town would expect to find shopping malls, cultural attractions, entertainment venues, restaurants, bars and quite a few foreign men would expect some other Thailand attractions. If you're one of them you might be better off visiting Pattaya or Phuket. 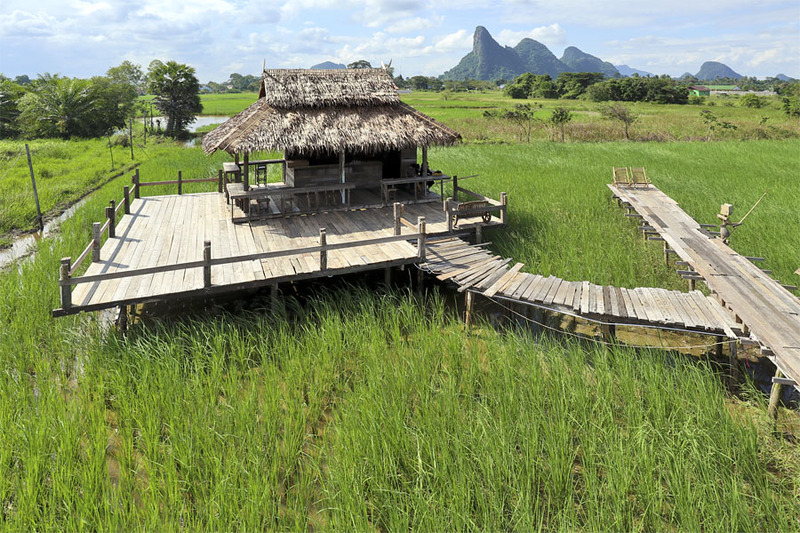 One of the important ancient places in Phatthalung built around 8th-10th century AD. Inside the cave found the reclining Buddha, the stupa and quite a number of Buddha images. Votive tablets of Srivijaya period dated around 8th-13th century AD have also been discovered. The royal momogram of King Rama V, his majesty the King and her majesty the queen (King Bhumipol and Queen Sirikit) were inscribed on the wall of the cave near Khuha Sawan cave is the other cave called Nang Klod cave where inside has been decorated with stucco depicting local folklore. So why, before I was married with a family, jump on ths bus tp Phattalung so regularly and just spend time walking around the main town? I visited Thailand for the first time in 1987 and the Thailand I saw back then (even in places like Pattaya) has all but disappeared in many parts of Thailand. Many areas of Thailand have been Westernised mercilessly and developed beyond recognition. Western fast food chains and shopping malls have appeared everywhere, many Thais have migrated to the cities to find work and to accommodate them many Western style condo buildings have sprung up. The small wooden shophouse buildings and the whole Thai way of life has simply disappeared. I understand why this has happened, but in many ways it is very sad. In those places that have already changed you can't turn the clock back, but you can still find places in Thailand that are as they were 40 years ago. Phattalung is one of them, and that's why I enjoy visiting Phattalung. If you want the things I listed above when you visited Thailand there are lots of tourist destinations where these things exist. If you enjoy nature and would like to see how all of Thailand used to be, visiting somewhere like Phattalung is now the only chance you have. If you wish to stay in Phattalung main town don't expect to find tourist class hotels everywhere, as you can in Thai tourist resorts. For many years the only accommodation options were the old style Chinese hotels that I remember so vividly from my 1987 trip to Thailand. These places are full of character, but they aren't up to the standards that tourists expect these days. 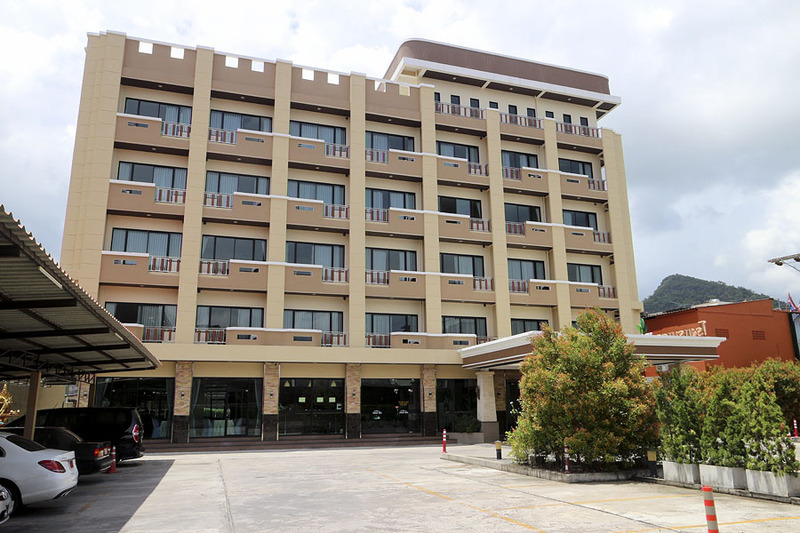 However, when I visited Phattalung manin town in 2017 I noticed that a new modern had opened - the Centris Hotel. Whether you enjoy Phattalung or not depends entirely on your mentality. If, when you travel somewhere, you expect to find things that fall into the category of 'tourist attraction' you probably won't enjoy it. If you enjoy travelling in a natural way, wandering around Thai traditional markets, seeing the traditional way of life and meeting locals who haven't been tainted with mass tourism, you may well enjoy Phattalung. I have covered Thale Noi quite extensive elsewhere, therefore I won't repeat it all here. At the north end of Songkhla Lake, which is an inland sea, there is a separate body of water known as Thale Noi. The water that enters Thale Noi is rain water from the Banthat mountain range and there it is fresh and measures have been taken to prevent salt water intrusion. Millions of water lilies cover the lake and it is also home to many species of native and migrating birds. In addition, there is quite a large herd of water buffalo. Thale Noi attracts quite a few Thai tourists and some Malaysian and Singaporean tourists also visit, but I have visited many times and have only seen a few Western tourists. Thale Noi has two visitor centres, which offer very basic accommodation and there are also some private guest houses on the water's edge. There are no bars, no evening entertainment and no Western food. 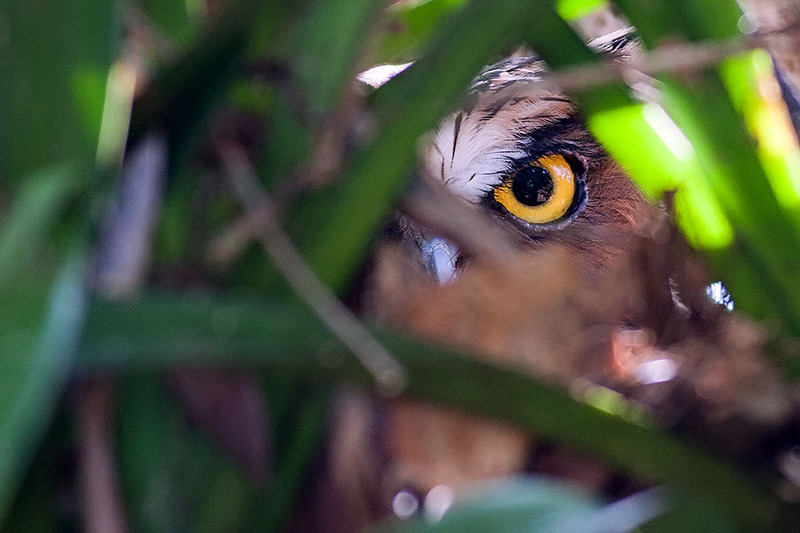 If you enjoy nature, and especially if you enjoy birdwatching, it is a very relaxing place to visit. Provinces in Thailand are divided into districts and districts are divided into sub-districts. 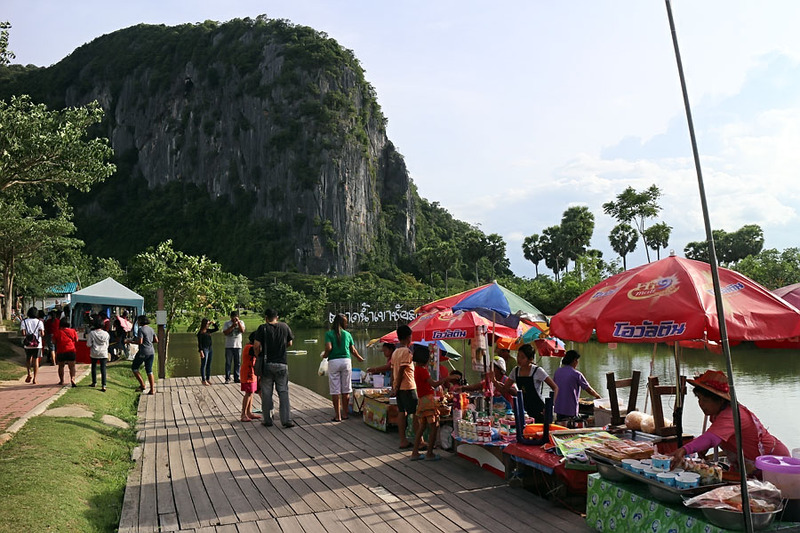 Khao Chaison is a district in Phattalung province and it is a very scenic area. A few years ago there was a big trend in Thailand for opening floating markets in order to attract tourists. This happened in Khao Chaison. The fact that there was no water didn't deter the local authorities, who simply dug a hole in the ground and filled it with water. It's not the biggest floating market in Thailand (and nothing actually floats) but the setting is exceptionally pretty. 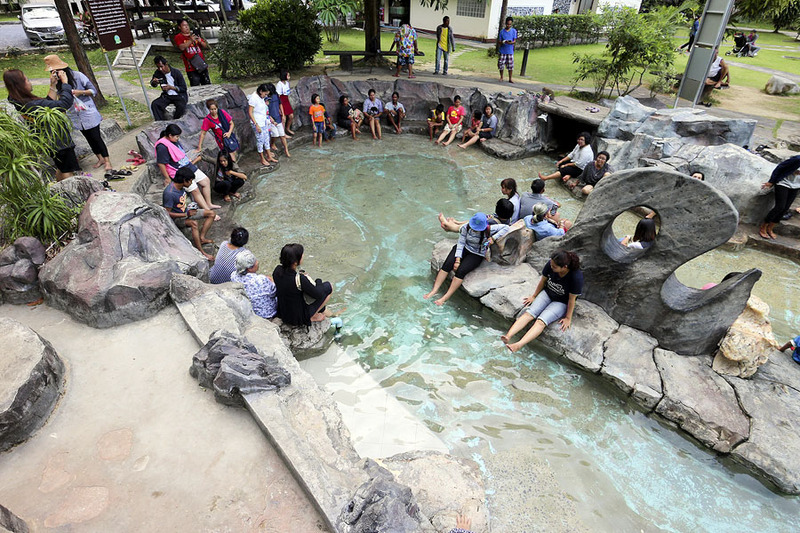 Close to the floating market are Khao Chaison hot springs. This is another attractive place and there are a lot of long-tailed macaques, which bathe in the water. The water coming directly out of the ground is too hot to bathe in, therefore it is mixed with cold water. If you wish you can stay overnight at the hot springs and the bathrooms in the bungalows use water from the hot springs. In Khao Chaison district on a promontory that overlooks Songkhla Lake there is a restaurant called Thew That Resort that serves good seafood. The view and the food are good. I'm not sure what this place is called in English, but it's a pleasant place to visit for a few hours and it's located close to Thale Noi. I guess the idea is for it to be an example of a traditional working farm. 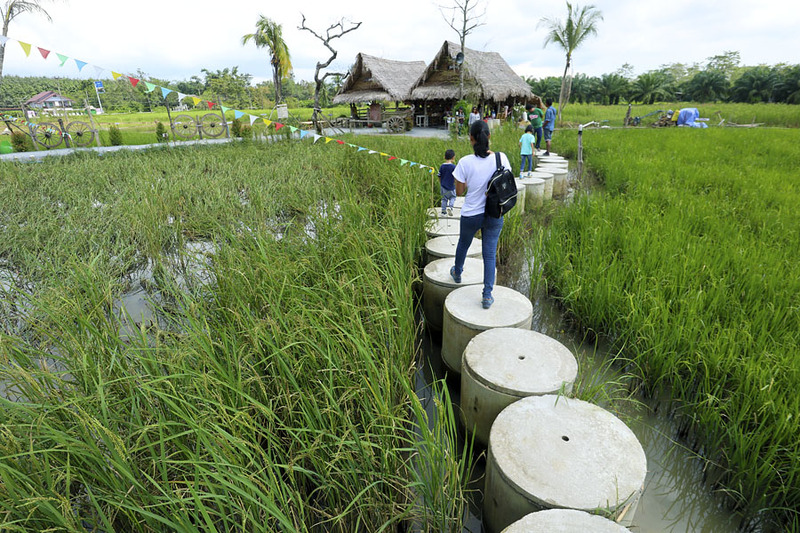 It is built above rice paddies and you move around on elevated walkways. There are a few cows and water buffalo and you can also observe people demonstrating ancient farming techniques, for example milling rice by hand. 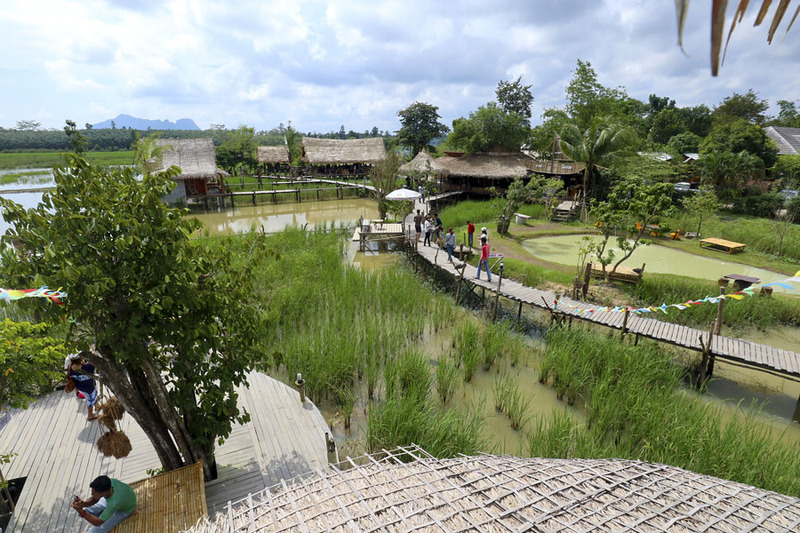 It's not huge, but if you are in the area - visiting Thale Noi, perhaps - it's a pleasant place to visit for a couple of hours. There are shops that sell food and refreshments. As I have driven past, I have stopped at the Phattalung Botanical Gardens a few times. 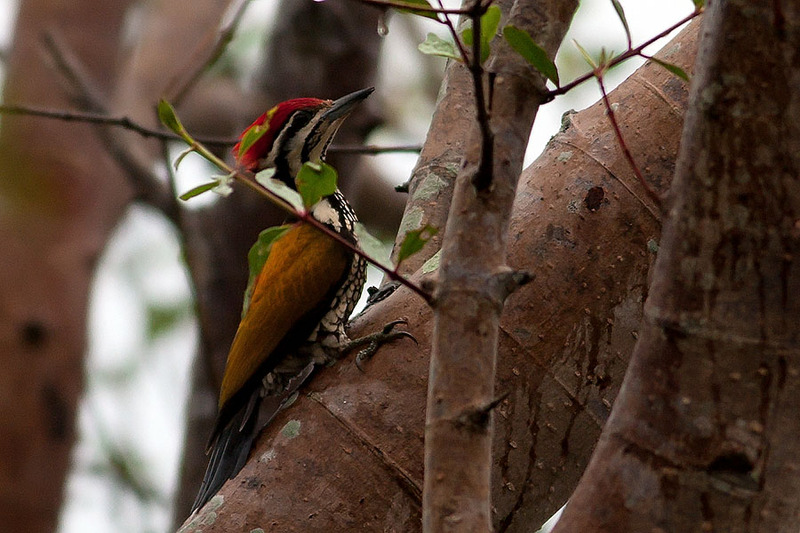 There isn't a great deal there, but it's a very natural area and I have seen birds there that I haven't seen elsewhere in Thailand, including an owl and quite a large flameback. I have been visiting Phattalung regularly since 2004 and up until 2017 I observed very little change. While on a visit to Central Festival in Hat Yai in 2018 there was a big event to promote tourism in Phattalung and in October 2018 I made another trip to Khao Chaison and Thale Noi. Two things were quite noticeable. Firstly, there is a lot of new development and obviously a lot of money is being put into developing Phattalung's tourist infrastructure. In Khaochaison an expensive restaurant has been built on the little promontory that just into Songkhla Lake close to Thew That Resort and Restaurant. The owner wouldn't have invested a lot of money unless it was expected that many tourists would visit. 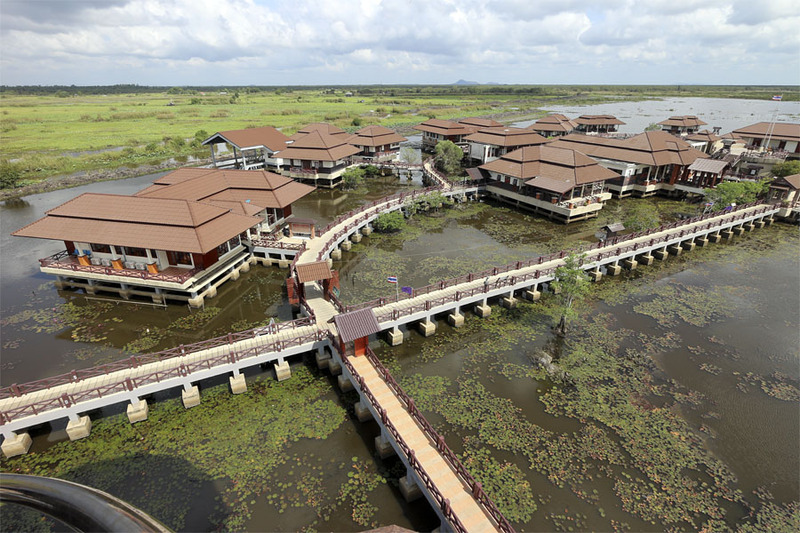 At Thale Noi I stayed at quite a plush resort that has only been in existence for four years. Before this, there was only basic accommodation at the government visitor centre and a few private guesthouses. Already, lots of Thais are now visiting from other parts of Thailand and as Phattalung becomes more developed and more well known to the outside world I expect that foreign tourists will also start to visit. I started visiting Thailand in 1987 and I have seen this type of thing in many parts of Thailand. In 1987 Samui Island was virtually deserted, but now it is far too crowded. In that same year Pattaya was very quiet and in 1992 Patong Beach in Phuket saw very few foreign tourists. It is unimaginable now when you visit those places, but what has astounded me is how quickly things change in Thailand. I've noticed three distinct stages with Thai tourist locations. The first stage is when there is no, or very little development. Everything is very natural, but with so little infrastructure it isn't always convenient. The second stage is when the infrastructure starts, but there are still relatively few tourists. This is the best stage because there are lots of amenities, but it isn't too crowded. The third stage is when mass tourism takes over and this has happened in many parts of Thailand. There are hordes of tourists, everything becomes very expensive, and unscrupulous Thais are attracted because there are easy pickings with so many naive foreigners. As I write, in October 2018, Phattalung is somewhere between Stage 1 and Stage 2. It's still a beautiful place to visit, it's still reasonably priced, and it isn't full of Thais trying to rip off tourists. However, that may change in the coming years. I try to describe places in a way that's honest, not because I'm snobby or elitist. Many foreigners who visit Thailand think that Pattaya is the greatest place on the planet, and that's fine. Everyone has different tastes and people who think Pattaya is great will probably find Phattalung extremely boring, and vice-versa. It's important to be honest so that people don't waste their time going to places that they won't enjoy. If you have only ever visited well known tourist resorts in Thailand, a visit to Phattalung will be very different for all kinds of reasons. In Thai tourist resorts everyone speaks English, signs are in English, Western food is easily available and everything is very Westernised. 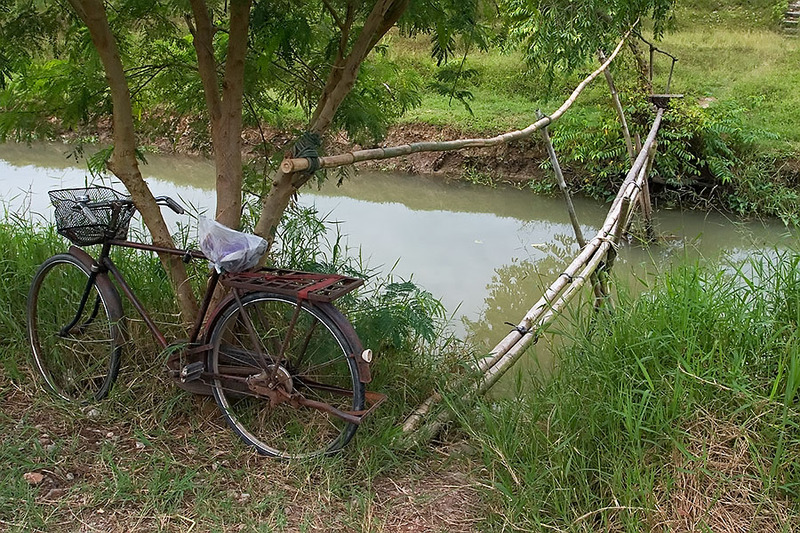 However, in many parts of rural Thailand there are none of these things. 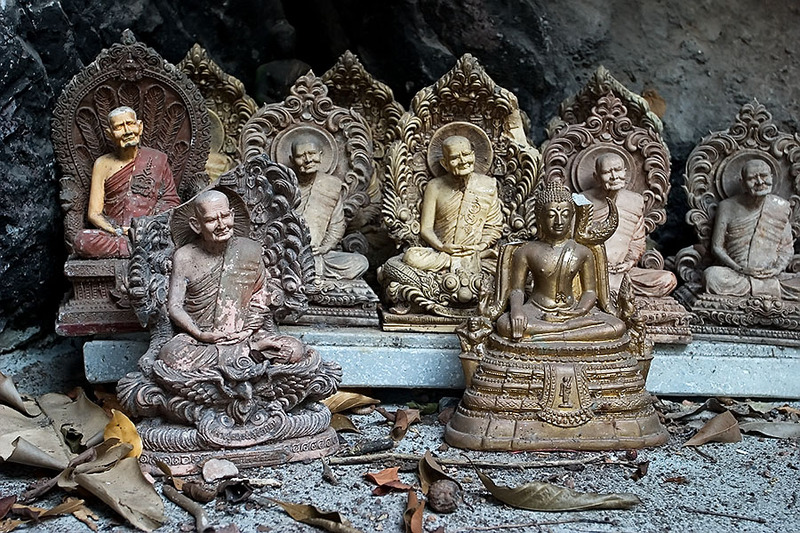 I hope that by creating this page I have been able to give you a feel for what Phattalung is like and whether it is somewhere you might be interested in visiting, or not. Regarding what to see and do in Phattalung, my view is that the worst way to travel is by ticking off a list of 'must see' attractions. "Yes, been there, done that, what's next?" It's so unimaginative. 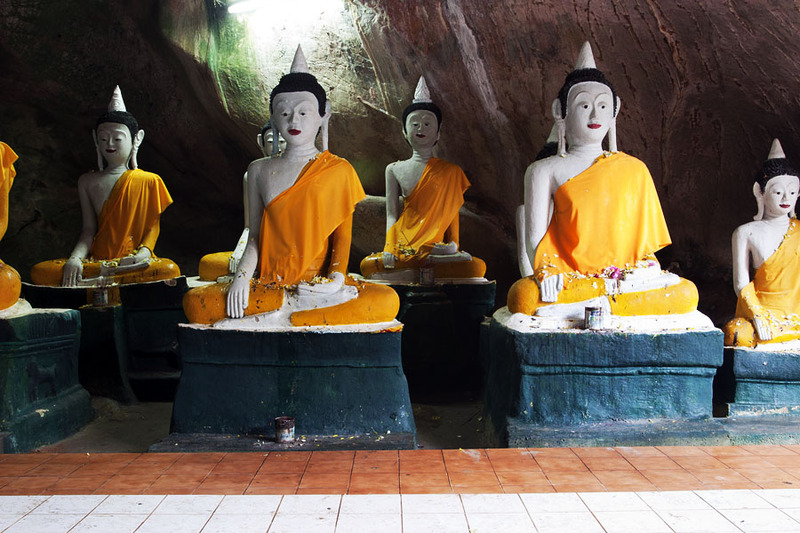 If you go to Phattalung, hire a car or hire a driver with a car and just explore. You'll discover lots of unexpected things and this way of travelling around is so much more satisfying. As I said above, there has been a campaign to promote tourism in Phattalung, there has been more development, and the province has started to change. It's still a beautiful part of the country, but if you want to visit don't wait too long.